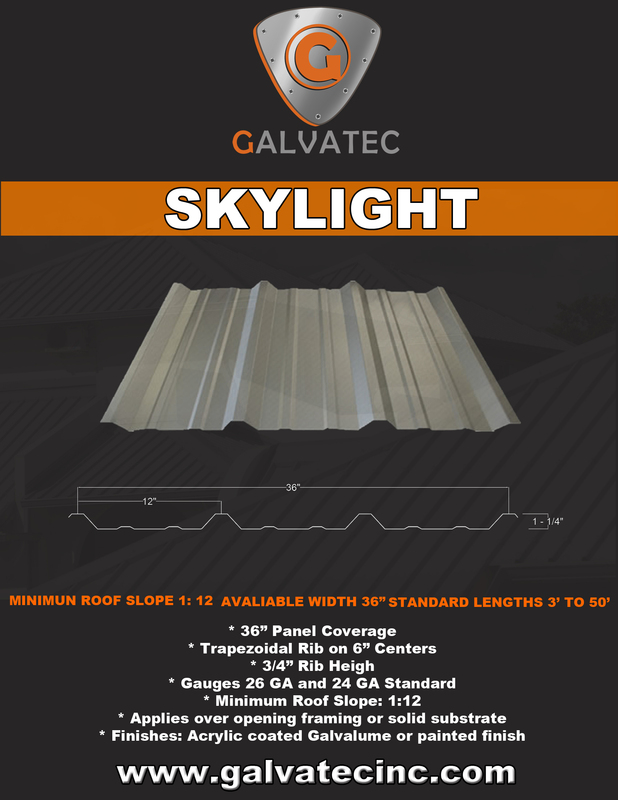 In Galvatec Inc. we have a Skylight panel designed to fit various applications, such as houses, greenhouses, warehouses and patio covers, as well as other applications where the natural light is preferred. 1. Years of dependable performance. 2. Resists stains, rust and mildew. 4. Easy to handle and install. 5. No special tools needed. 6. Tough surface resists shattering, scratches and abrasions. 7. Extremely high strength to weight ratio.